Join S&C at the 2017 Pipeline Simulation Interest Group (PSIG) Conference May 9–12, 2017, in Atlanta, Georgia. Our presentation “Real-Time Congealing and Pipeline Monitoring System” (1714) is scheduled for Thursday, May 11, from 16:45–17:30. 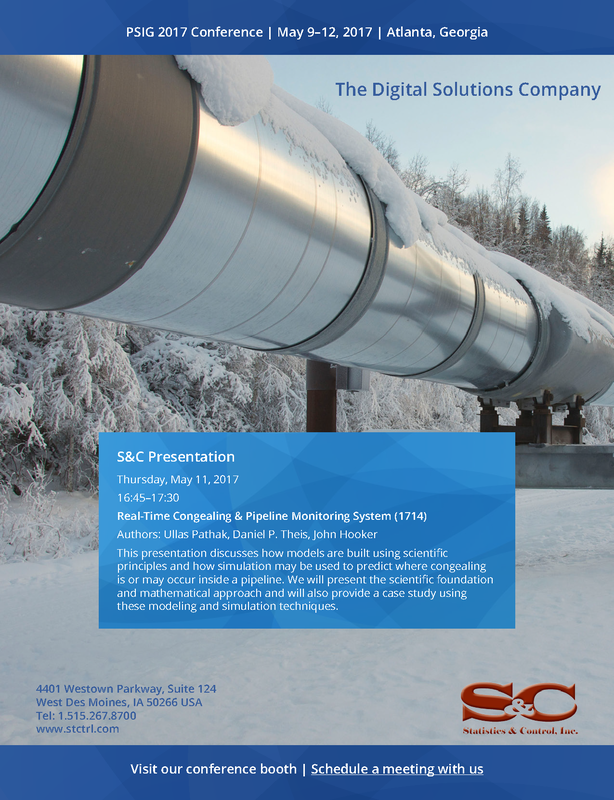 We will discuss how models are built using scientific principles and how simulation may be used to predict where congealing is or may occur inside a pipeline. The presentation will also discuss the scientific foundation and mathematical approach and will provide a case study using these modeling and simulation techniques. Also look for our table with the solution provider exhibits to learn more about all of our solutions.